RENT – Our rent will go from $1,949 a month for a smallish 2 bedroom apartment to $1,000 a month for a 2 bedroom, 2 bath home with a garage and enclosed front and back yards. CAR INSURANCE – We only own one car, and because we are moving into town in Taos, we will just keep this one car for now and not get another one. Our car insurance should drop from $112 a month to $70 a month. UTILITIES – You would think our utilities would go up because it actually gets cold in New Mexico, but the rates are cheaper there than they are here in California. TAXES – It only hurts if you consume, but the sales tax rate is substantially lower in NM. And because I am taking my job(s) with me, our income will not really fluctuate and I will effectively be giving myself a raise. And teachers are already underpaid everywhere, so my wife’s income won’t change much either. We will be making the same amount we are making here in California, but spending considerably less. This is where it really pays off to be a freelancer of sorts, because regular jobs, if you can find them, pay a lot less in Taos than they do in other places. I guess the point of me writing this is to remind you that maybe an option for you, if you are having difficulty affording where you are living, is to look into smaller towns that you would be just as happy (or happier) living in and that could support your work (whatever that may be). 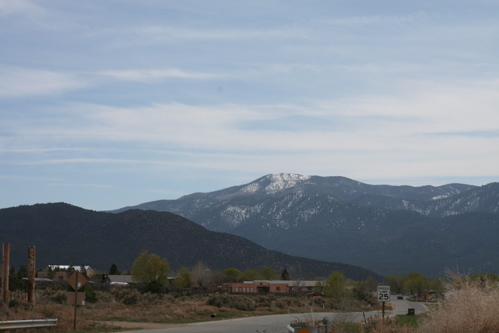 It took us an entire year since we first visited Taos to actually make the move – just something to keep in mind! We did a move to cut costs and overall we’re happy. Housing is about 20% cheaper here. The move puts us in between our families. To anybody considering a move, if your budget can work with the move, then do it! The worst thing that can happen is it doesn’t work out and you can move back to your old city. That sounds like a fantastic move for you guys. Slower pace of life, lower expenses, same income? Who can argue with that. Plus you get a house instead of a cramped apartment. Sounds like you’ve found quite the place. I couldn’t agree more with a well thought out move! We moved from very expensive Seattle to the mountains outside of Colorado Springs, and our quality of living was increased dramatically. Housing is quite affordable, we have 3/4 acre for our dogs, people are friendlier, and hiking is right out the back door…. One negative (for some) would be the seemingly conservative politics, but there are far more progressive types here – the ones we gravitate towards and naturally make friends with. Quality of life and lower cost of life are our biggest reasons for moving. Jonny – luckily, there are usually pockets of progressives (if you are like me and enjoy that) – and Taos is no exception! We’re going snowboarding there next winter (closest option for those in the DFW area). I’ve heard good things about that place. Thanks for sharing the numbers. Sounds like a solid move. Congrats on your decision! I hope the move works out well for you. Also, property tax laws are different from state to state. I know that in Texas you pay a flat rate to tag your vehicle for the privilege of driving on the roads. Growing up in Oklahoma, however, you also paid an additional property tax according to the vehicle’s value when you purchased/renewed your tags. I believe the same is true in KS. I have no clue what the situation is in Cali or NM, but if you drive a fairly new vehicle, it could be substantial – especially if you weren’t paying it before the move. Neither of these is likely to outweigh the savings you’ll see in housing costs, but (for me at least) it’s always easier to take when I know it’s coming. All good points Braunn, that people should consider. However, CA is one (if not THE) most expensive places to live, so we could almost move anywhere and everything will be cheaper. We are toying with the pros and cons of moving. I’m a freelancer like you, but I’m finding a great many opportunities in Silicon Valley that I wouldn’t have if I lived in Kansas (for example). My wife’s military income is also directly pegged to costs of living. By living in a more expensive area, she is getting a bigger paycheck. I think that I’d struggle to move somewhere cheaper in the UK. There’s not as much scope for major changes (although there is some), but also I’d certainly be moving further away from friends and family, and it would be hard to find a well-paying job. Oh well, can’t have everything. Congratulation on the move. Taos looks like a beautiful place. I think it’s really great that you can pull this off. We just moved for financial reasons…one street over to a smaller home that needed work. We’ve renovated the interior (less than 1,000 square feet) and with a smaller mortgage we’ll be paying off debt and building savings so much more quickly. A good post, and some good points about moving to a rural place to save some dough. Thanks for sharing. Good luck with the move. However, one quick counterpoint: you have to factor in the cost of moving (which can be considerable). Not to mention increased gas usage once you’re there (potentially). Cost of moving will be recouped in 2 months of lower rent, and gas usage shouldn’t go up – we live in LA and my wife commutes 15 miles every day to work. It doesn’t sound like much, but it takes 40 minutes in traffic, so she uses a lot of gas. 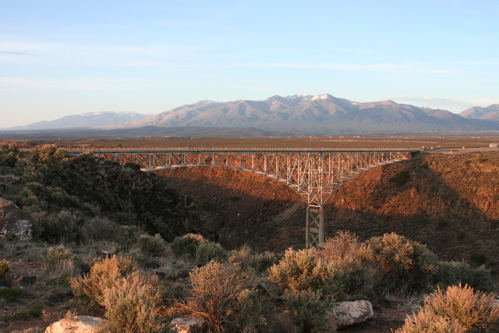 In Taos, there is no traffic and 15 miles would you in the boonies! 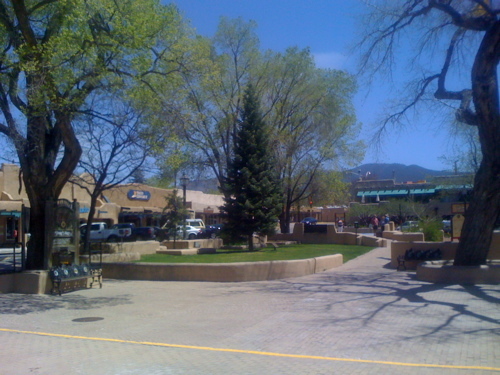 I’ve looked at Taos and Santa Fe…neither of them look cheaper than lovely uptown Phoenix. Sure wish I could afford to move to either of those venues–and either break even or actually save money. Congratulations on a great move. How funny, I just visited Taos! I liked it, but I think I favored Santa Fe a little bit more. Of course, Santa Fe is pricier. The only problem (not to be a downer) is that *so many* people are moving to the “Sun Belt” that it’s putting a real strain on natural resources, especially water. I was so appalled at how businesses, etc, misused water in what is essentially a desert. I stayed for a few days at New Mexico Tech in Socorro, and the school regularly had something like 10 sprinklers out on one lawn in the morning to keep their grass growing! I’m not sure if you’re much of a gardener, but I’ll just say that when it comes to landscaping/gardening around your home, you might want to look into xeriscaping. I think cactus and succulent gardens are much more attractive than grass, personally. But congratulations, and good luck! 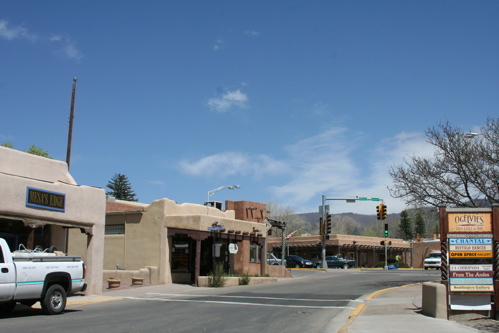 Santa Fe is way too crowded for us, we want a small town, thus Taos. As for water, we will have cisterns collecting rain water for all outdoor watering, and we eventually are thinking of going off-grid, using only the rain that falls from the sky for everything. But you are right – too many people living there and not caring is a recipe for disaster. Be careful with the water collection however….the West has some very old (and strange) water laws. In Colorado, it is illegal to capture rainwater and then use it for outdoor watering! You are “depriving” the downstream users who have acquired water rights (even if you are returning it to the earth eventually)…I know, ridiculous! Anyway, I would not be surprised if NM had similar restrictions. Agreed, some places do in fact have those rules. But if your property is either off-grid and outside of town, and/or has existing water rights, there are no problems.